https://newmexicowomeninthearts.org/a-room-of-her-own-darlene-ryerNM Women in the Arts has accepted me. This is quite an Honor, to be included on their website. 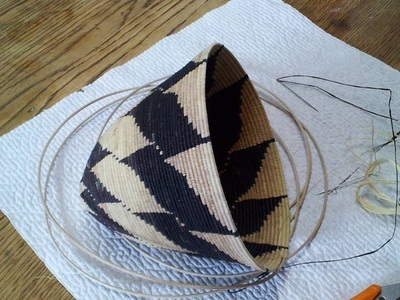 This is a new Burden Basket in progress, and it is a ways from being completed. So far it is 5" from point to rim. It will most likely be 4 times this size when done. The pattern is called "Spinning Stars". They are all inside eachother, and progress in size as they go. It is being constructed with Basket Reed (the core of rattan), and Raffia (a palm leaf). This piece will have a number, and will be for sale when complete. If you are interested in this piece, please comment in this blog, or email me at darleneryer23@yahoo.com . 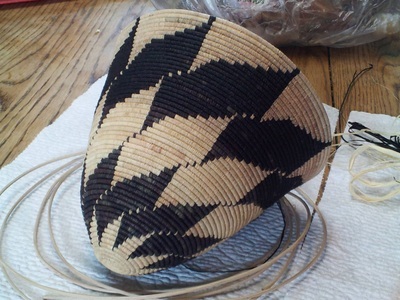 I hope to add another page soon to this site, of just the baskets that are available for sale. We are also working on our "show room" in our home, in Mountainair New Mexico, and will hope to have the available work displayed soon. 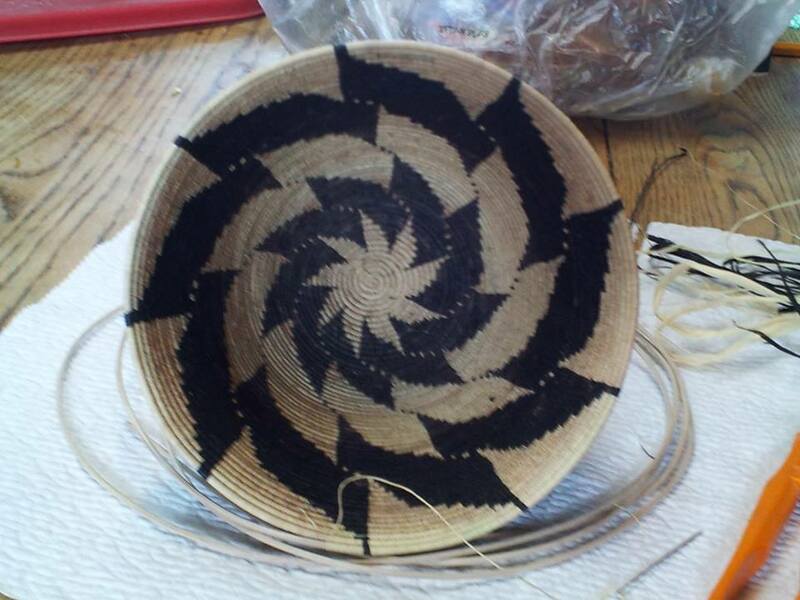 FYI: The Gift Shop in the Fetchen House at the Museum in Taos New Mexico has accepted my work as Museum Quality, and will soon be selling my Baskets. I am so excited I can hardly believe it. I have been weaving for 22 years, and wishing for something like this to happen. My Mother and Step Dad always wanted to see my Baskets in a Museum before they passed, but that didn't happen. Hope they can see them from up above. This site is being updated each week, so please come back often to check out new work. 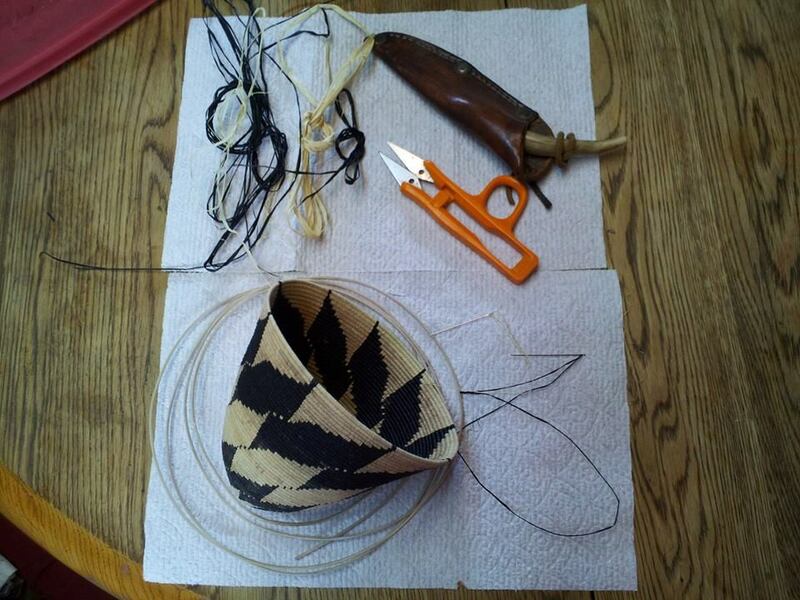 If you like, leave me a note, with any questions you may have about my basket weaving. 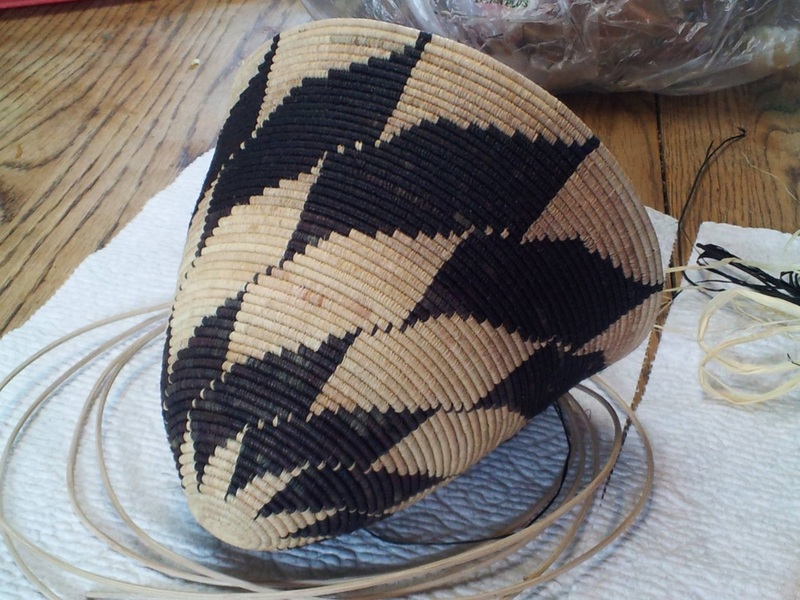 My name is Darlene Ryer, and I have been Weaving Baskets since 1988. I am self taught, as my Grandmother, (the last Weaver in my Family), was gone before I began Weaving. My work is dedicated to her memory, and all the wonderful moments we had together, and to my Mother, who gave me much encouragement, many patterns, and loved to watch me Weave.